Thanks for helping people connect to Amigo Centre! Amigo would not exist without the help and support of our constituent churches, friends, neighbors, and partners in ministry! Friends of Amigo Banquet: was held March 14th at Yellow Creek Mennonite Church. Thank you for your participation! Amigo Work Day and woodsplitting: April 13, 2019 In February of 2018 the building where our wood boiler was located burned down. Although we did not replace that we still have a bunch of firewood that needs to be split and prepared for the summer season. There will be projects, rain or shine for people of all ages and skill levels. If you have a specific skill you want to share give us a call. Please let us know if you are coming so we can make sure we have enough projects to do. Please RSVP to info@amigocentre.org or 269-651-2811. Golf Benefit: Our annual Golf Benefit focuses on raising money for our camper scholarship program. These needs-based scholarships are given to selected children from Northern Indiana and St. Joseph Co., MI who would not otherwise be able to attend camp. The goal of our Golf Benefit is to raise enough funds to cover the more than 84 scholarships that are given out each year. 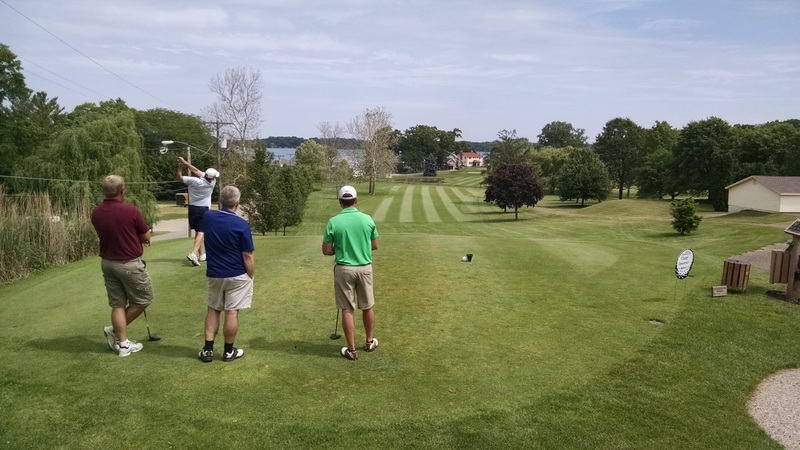 Our next Golf Scramble will be held at Klinger Lake Country Club in Sturgis, Michigan on June 8, 2019.